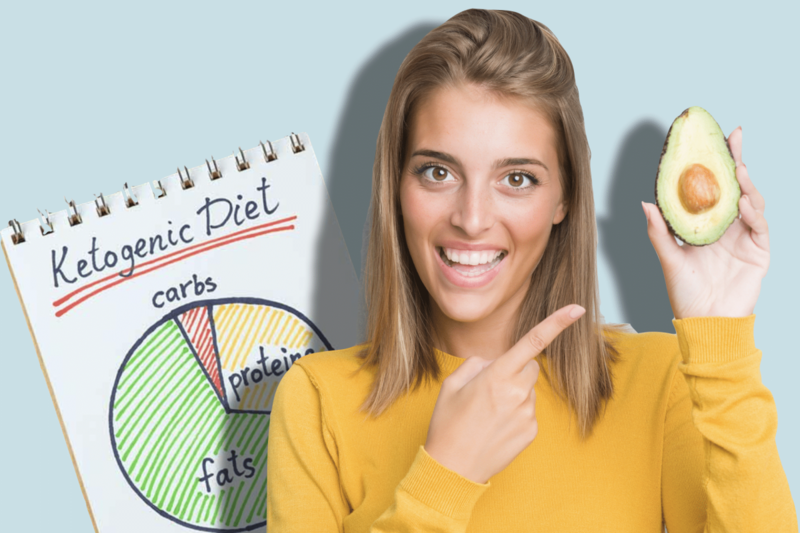 What is the Ketogenic Diet and is it Healthy? 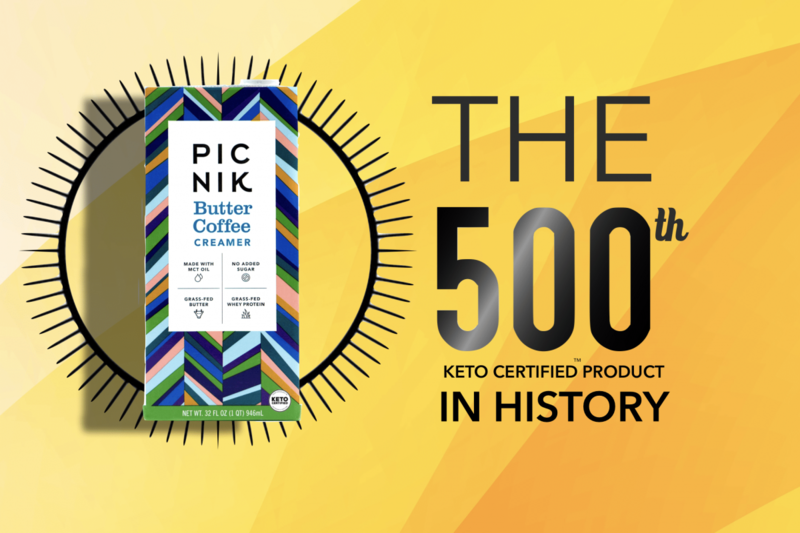 The Ketogenic Diet or “Keto Diet” may have grown in popularity over the last twenty years, but the diet is a natural diet that has been implemented by various tribes and peoples all over the world for thousands of years and has been used as a means to control epilepsy. 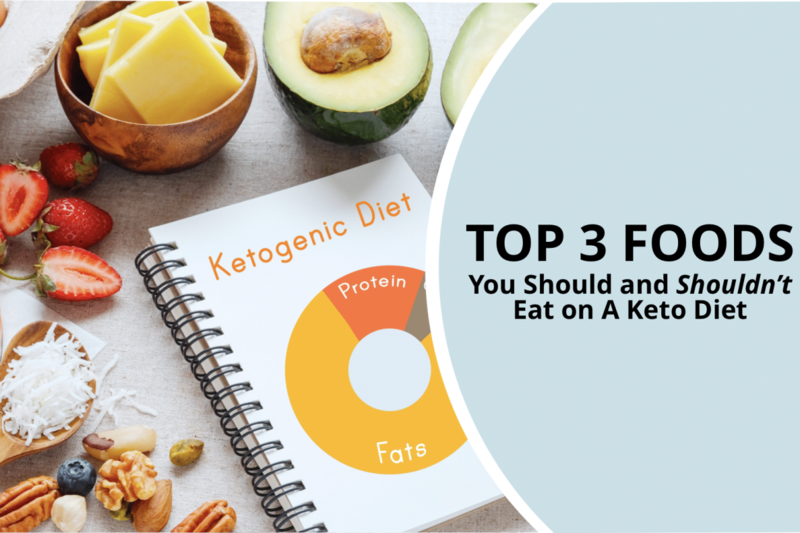 The more recent focus on the Ketogenic Diet began when it was discovered in the 1920s that the improvements in epileptic activity began a few days into a fast after glycogen stores had been depleted, and the individual had shifted to using ketones for energy. It was then suggested that individuals with epilepsy could reap the same neuroprotective benefits if they ate a diet that kept them in a state of ketosis without having to fast. In response to this information, doctors began to prescribe a diet of 85-90% fat, with the remainder of the calories coming from mostly protein and few carbohydrates and thus the ever-popular Keto Diet was born. 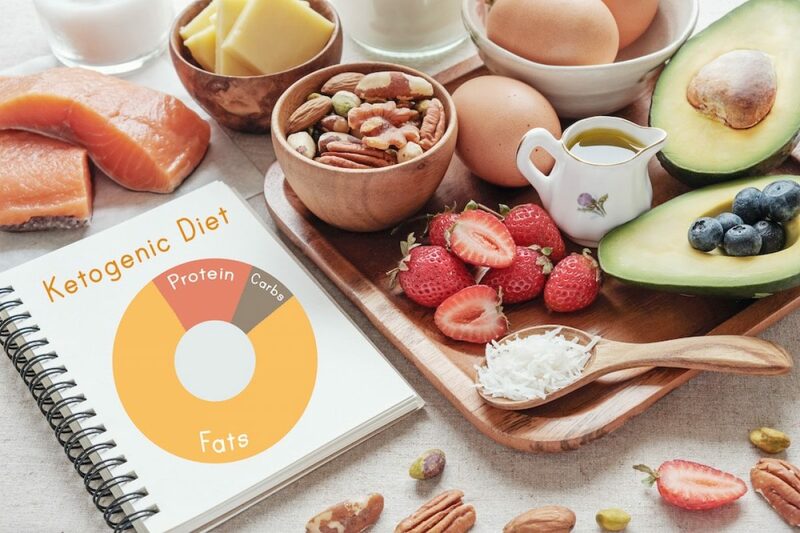 While the Ketogenic Diet does appear to have neuroprotective effects, it has been proposed that it may also benefit other neurodegenerative disorders such as Parkinson’s, Alzheimer’s, and even certain types of brain cancer. However, human studies have not been conducted to support a ketogenic diet as the first line of treatment for these conditions. 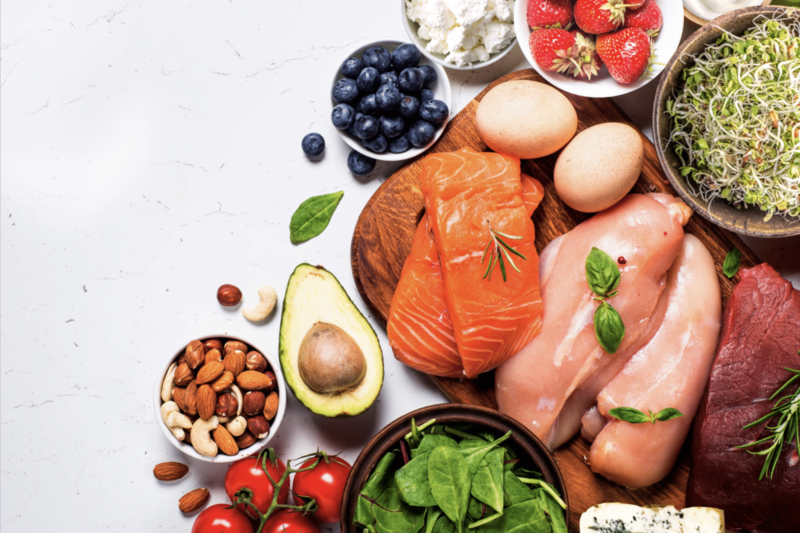 The keto diet is one that is loaded with fat, requires a moderate amount of protein, and all but eliminates carbohydrates, and it works by altering how your body powers itself. By reducing carbohydrate intake, your body transitions from drawing energy from glycogen— a sugar stored in your muscles and liver— to ketones. 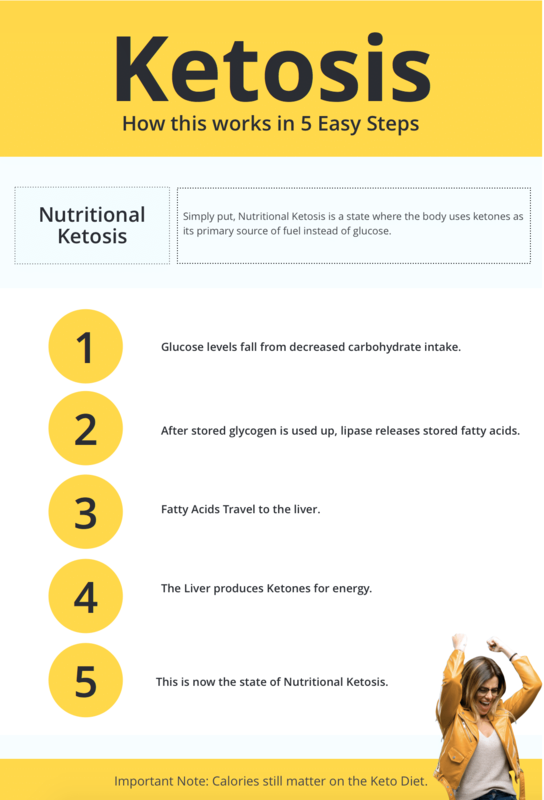 Ketones are molecules that are created when the body has no access to food, or when the glycogen stores have become depleted. Ketones are produced from consumed or stored fats, which are burned off in a process called beta-oxidation. This shift from glycogen as fuel to ketones as fuel does not happen instantaneously, and results are not the same for everyone. On average, it takes between two to four days of restricted carbohydrate consumption (20 to 50 grams per day) to initiate the metabolic state called ketosis, where the body is ketone-fueled. Weight loss is one of the primary draws for the keto diet and is one of the most often-touted benefits. 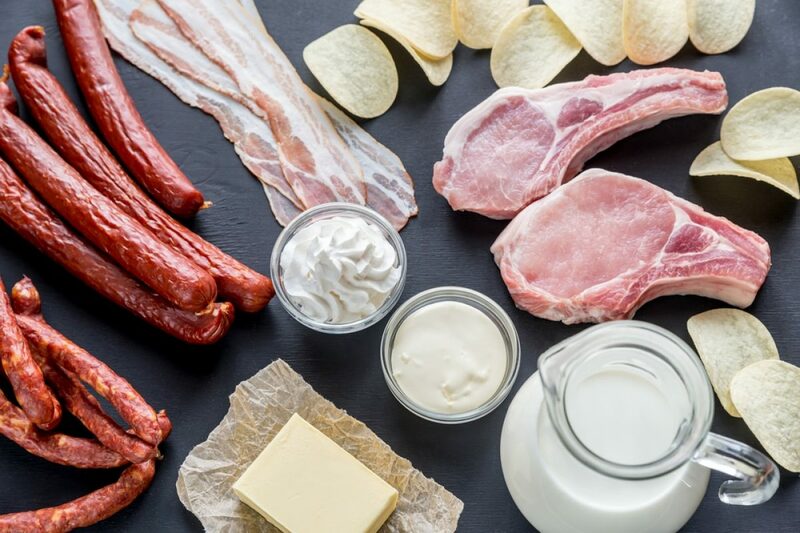 However, one of the main criticisms about the keto diet is the disregard for the importance of food quality and excess calories espoused by some popular low-carb approaches. Some proponents of this approach suggest that eating a diet that is full of processed meats, calorically dense “fat bombs,” and drinking buttered coffee all day long will impart the same weight loss benefits of a ketogenic diet by merely meeting the macro requirements. 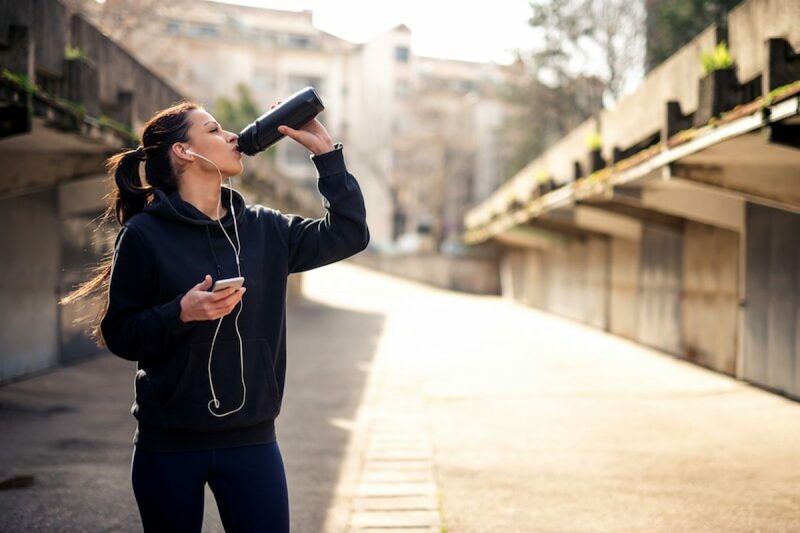 However, the body must still be in a caloric deficit to produce ketones from stored fats instead of consumed fats during the process of beta-oxidation to induce weight loss. Additionally, while the Keto Diet may impart rapid short-term weight loss, evidence suggests that the difference in weight loss between a low-fat and low-carbohydrate approach disappear over time. Nevertheless, a ketogenic diet can be a viable approach for some as a long-term diet. However, it is essential to take a more sustainable approach to the ketogenic diet that incorporates whole foods, plenty of vegetables and fiber, focuses on nutrient density, and allows for an overall decrease in caloric intake vs. output over time. • To lose body fat, your body still needs a caloric deficit. • Calories matter on a Ketogenic Diet. • Focus on consuming more nutrient-dense, whole foods. • Incorporate green leafy vegetables and sources of fiber. • Strive for sustainability and balance. • Do not restrict salt intake to keep electrolytes well balanced. 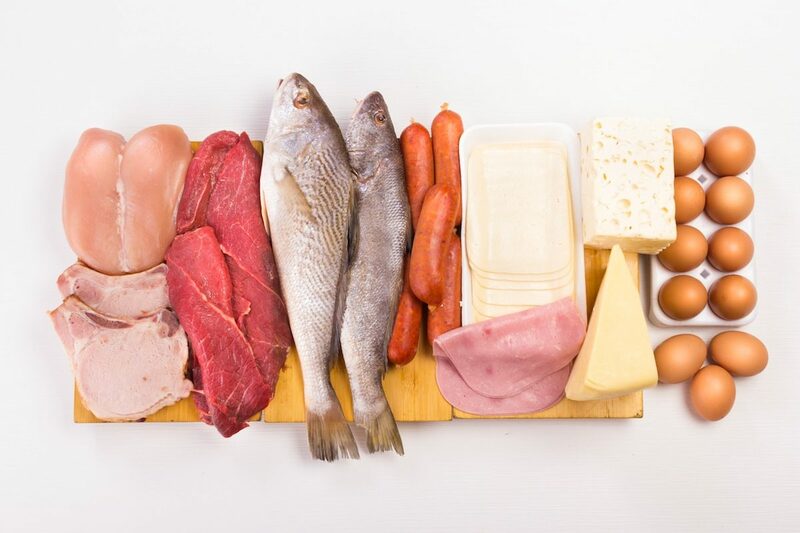 Patients with kidney disease must be cautious about the keto diet as it may worsen their condition. It is highly recommended that you adopt this diet after consulting with a medical professional, especially if you have a history of (or are currently suffering from) kidney problems. While the prospect of eating a lot of meat and cheese may be appealing at first, many have found the lack of carbohydrates to be quite challenging, especially since it also keeps fruit and starchy vegetable consumption to a minimum. Additionally, the diet may cause some individuals to experience tiredness, weight gain, bad breath, nausea, constipation, and hormonal fluctuations. Therefore, it is imperative that symptoms are paid attention to closely when adhering to the diet. Previous article What is Celiac Disease?